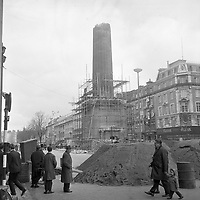 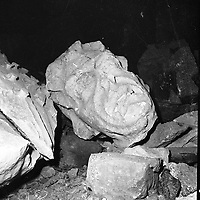 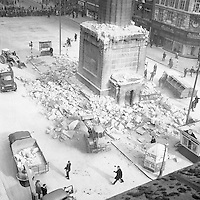 On March 8, 1966, a 121-foot tall granite monument in the heart of Dublin city was blown up in the early hours of the morning. 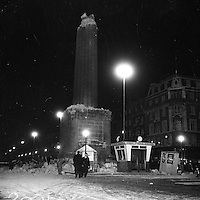 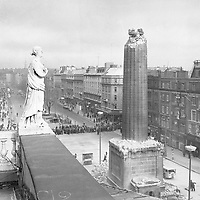 Nelson's Pillar, a 13 foot statue of British Admiral Horatio Lord Nelson that stood atop a hollow granite obelisk, had towered over O'Connell Street for more than 150 years. 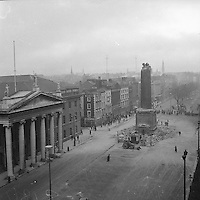 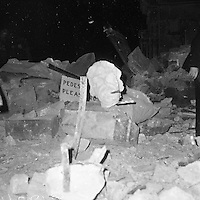 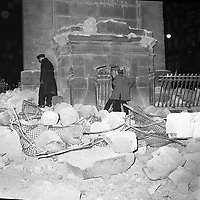 An unsuccessful attempt was made to destroy the pillar during the 1916 Rising, with the 1966 explosion taking place just a few weeks shy of the Easter Rising's 50th anniversary commemorations. 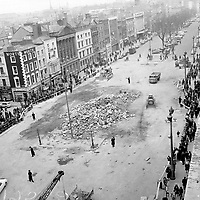 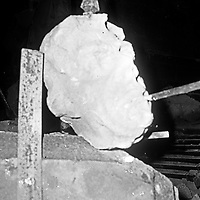 Miraculously, no one was harmed during the explosion, although a large granite stump was left surrounded by large pieces of rubble in the middle of Dublin's main thoroughfare. 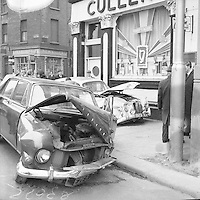 A group of Republican activists were later known to be responsible although no charges were ever laid after eight suspects were initially questioned. 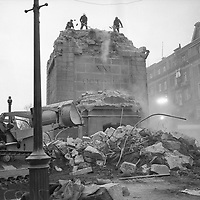 Six days after the explosion, the Army detonated the remaining pillar causing a sizable amount of damage to nearby buildings. 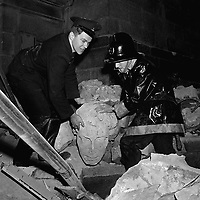 These striking photographs were taken on the night of the explosion and in the days afterward by Independent News and Media photographer Tom Burke. 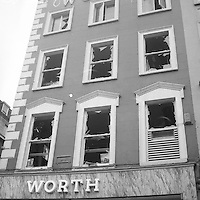 Working for the Evening Herald at the time, which was located in the immediate vicinity on Middle Abbey Street, he was on a night shift when he heard the bang of the explosion. 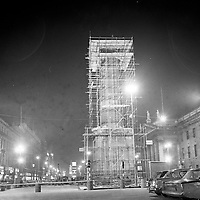 With the street shrouded in a thick smoke, he managed to capture these incredible scenes.